If you’ve ever played a video game from the ’80s, you know that not all translations are created equal. Just see the humorous All Your Base Are Belong to Us meme for a taste of what I mean. Which translation of a classic you choose to read greatly affects your reading experience. Most classics have multiple translations in print, which is both good and bad. It’s good because translations tend to get iteratively better over time–after all, why do yet another translation unless you think you can improve on what’s already out there? However, it’s also bad because choosing from a vast array of options–each with its own merit–can perplex you. This post discusses why translations differ and how to choose a translation that gives you the best reading experience. Before we talk about how to choose a translation, we need to know something about the translation process itself. Broadly speaking, translators use two different approaches to render the original text into another language. With formal equivalence, translators attempt a literal word-for-word translation. If you haven’t spent much time with foreign languages, you might wonder what else in the world a translator would do if not that. However, literal word-for-word translations are often not possible. For example, let’s say we want to translate the sentence, “John croaked.” A literal word-for-word translation would probably make the reader think that John made a sound like a frog. Of course, that’s not what we mean, we mean that John died. However, if we simply translate the sentence as, “John died,” then we lose some of the original text’s flavor. To correct this problem, we can use dynamic equivalence. Instead of word-for-word, we will try to translate the sentence meaning-for-meaning. Now we might choose from options like, “John bit the dust” or “John kicked the bucket.” Either of these maintains a folksy flavor in our translation, but we still don’t capture exactly what the original text said. Such is the translator’s dilemma. In actual practice, translation is a balancing act between formal and dynamic equivalence. If the translator emphasizes literalness too much, the story can become dull, lifeless, or even incomprehensible. However, the more the translator uses dynamic equivalence, the further the translation diverges from the original text. Dynamic translations can be more dramatized and exciting. However, I–and most scholars–prefer translations that err on the side of fidelity to the original text. I want to read as close to what the author originally wrote as possible. When a text is translated affects the reading experience in two important ways. Firstly, over time translations tend to get better. As I already mentioned, why do yet another translation unless you think you can improve on what’s already out there? Of course, that is not always the case. 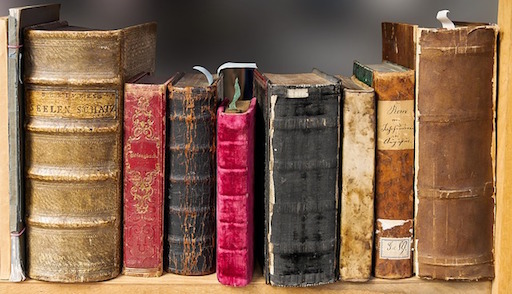 While classics are usually public domain, many translations are still under copyright. This means that, for example, even if Penguin Classics already has a fine translation available, Bantam Classics and Hackett Classics would need to commission their own translations for their respective repertories. Secondly, a classic may be translated in very different eras. It leaves the modern reader behind. The original text would not have sounded archaic to people reading it at the time it was written, much less resemble Shakespearean English. You might still enjoy older translations or the poetic sounding language. Many people still prefer the King James Bible despite newer, more accessible translations. However, I prefer recent translations into modern English. All other things equal, I will simply choose the most recent translation. For English speakers this typically boils down to whether the translator is American or British. Nationality only makes a subtle difference in translation–typically just a turn of phrase here and there. But the difference is enough to cause misunderstandings. Since I am American, I prefer translations done by Americans. But this is not a hard and fast rule. When you want to read Gilgamesh, you choose the translation by Andrew George–the world’s foremost expert on Gilgamesh, and a Brit. Here are two different methods to choose a translation and how I apply them to my criteria. Hackett Classics editions typically fulfill my three criteria. While I always research my options before purchasing, more often than not I just go with the Hackett edition. If I were British, I would look to the Penguin Classics or Oxford World’s Classics editions. Although there are two caveats: 1) these do tend to be older translations than the Hackett editions, 2) some translations are by Americans. If you like archaic English you can find a lot of public domain translations for free–or for cheap via Dover Thrift Editions. But why punish yourself with archaic English? Why? Okay, so this isn’t really hard, it just takes more time and research. Bryn Mawr Classical Review is an open-access, peer-reviewed journal of–you guessed it–classical studies. Who better to give you input on choosing a translation than leading experts in the field? Especially when it comes to fidelity of a translation to the original, we are wholly dependent on the opinions of experts. Bryn Mawr reviews typically compare the translation under review to other translations as well. And sometimes, you will just get lucky on the first shot and an expert on the field will tell you everything you need to know about extant translations of a text in one brief article. Next post: Are Bitcoin and Other Cryptocurrencies the Future of Money?